Quiet Garden Progress | NJNA is Blogging! 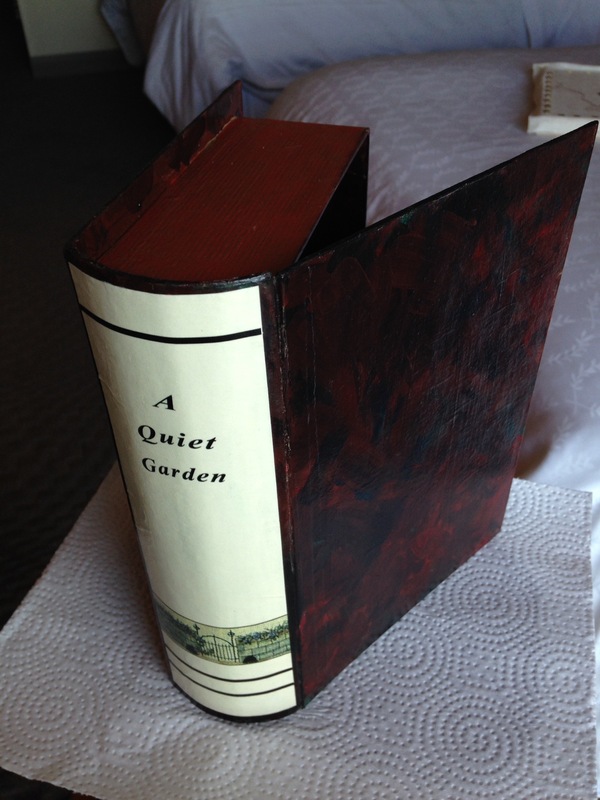 I’ve just finished my second class at seminar, Catherine Jordan’s “Quiet Garden.” This was my second choice when I didn’t get into the very popular “Radishes,” but it certainly was not a second-rate class! Catherine is an excellent teacher, and once again I learned many new things. 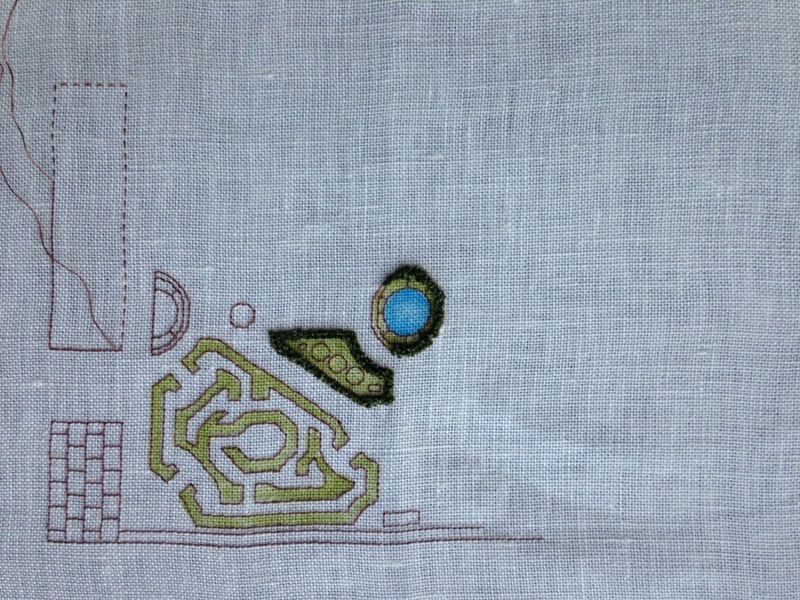 The project is an embroidered knot garden on linen, attached to a faux-finished papier-mâché box in the form of a book. It’s always nice to learn a finishing method that is not the standard framing. 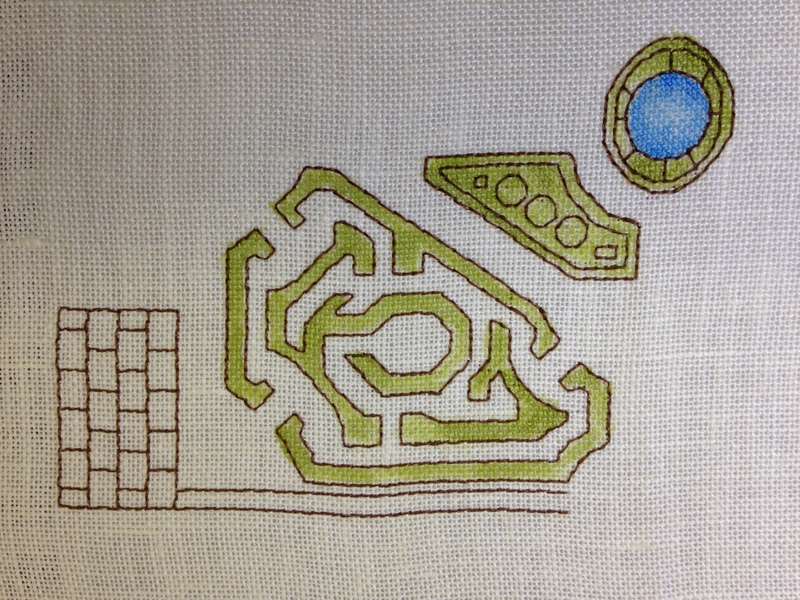 After this experience, I’m going to look into some of Catherine’s other projects, specifically the embroidered maps. One of the best things about seminar is having the opportunity to do things that are a little unusual for you, and learning that you like them! I’m impressed Jill. I’m curious to see the piece in person. I agree about seminar being a chance to go outside our comfort zone!